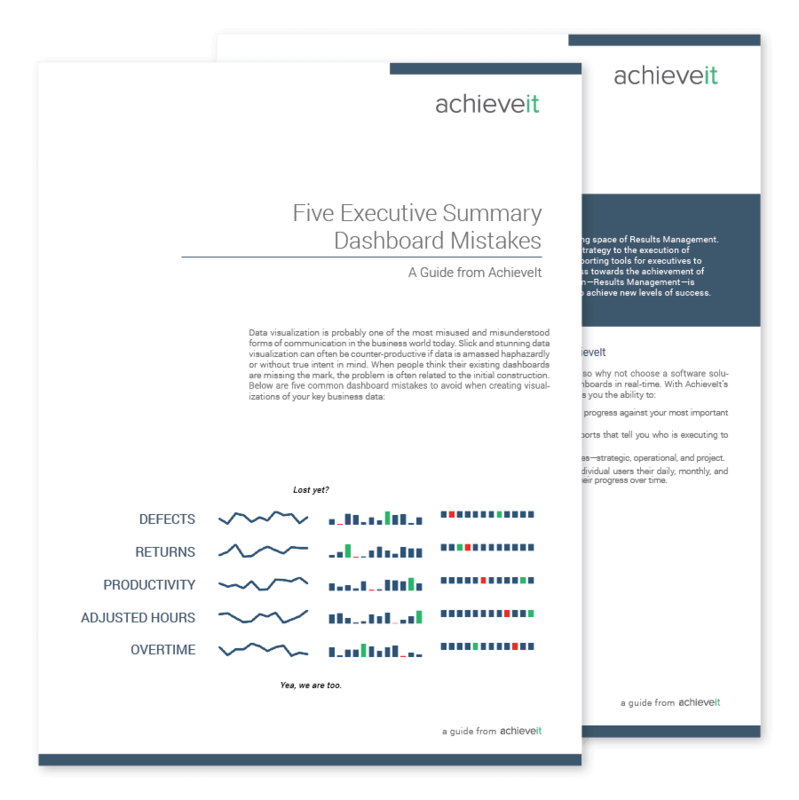 Creating deliberate and concise executive summary dashboards is easier said than done. Download this guide to learn how to avoid the most common pitfalls of data visualization. It’s no secret that executives crave visibility. And all too often, on your mission to keep reporting and executive summary dashboards clean and concise, even the best intentioned dashboards can become cluttered, overwhelming and tedious. The process of keeping the dashboards populated with accurate information is just as important as the dashboards themselves and especially difficult if you’re trying to do them in spreadsheets. Five common mistakes to avoid when creating data visualizations. Best practices for designing executive summary dashboards. Tips for leveraging technology to create, track, and update your dashboards in real-time.